You’ve probably already heard about Meladerm. It’s a pigment reducing and skin lightening product made by Civant Skin Care, that has become a popular choice amongst people who are searching for natural products to use as a skin treatment. This article will reveal all that you need to know about Meladerm, so you can make an informed decision about whether this particular product is well suited to your needs and your skin care goals. Who Makes Meladerm Pigment Reducing Complex? 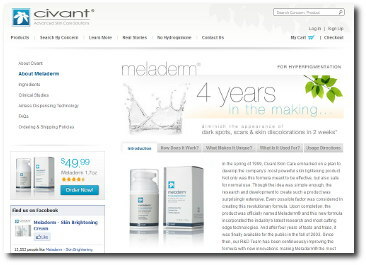 Meladerm has been created by the company Civant Skin Care. They began developing a skin lightening product back in 1999. Their goal was to create an effective formula that is safe to use on the skin, without having to worry about the side effects of harsh chemicals which are found in so many other mainstream cosmetic skin lightening products on the market. Civant undertook considerable research to create the formula, as well as numerous trials to ensure that it was an effective solution for people with various hyperpigmentation issues. Almost five years after they started researching and developing Meladerm, Civant began selling it to the public in 2003. Given customers have been buying the product for 10 years now, you can be pretty sure they must be doing something right! What Exactly Does Meladerm Do For The Skin? The main aim of Meladerm is to lessen the appearance of hyperpigmentation on the skin, mainly the face but also on other parts of the body where this problem may occur. People who want to have a more uniform skin tone and also reduce the sign of dark spots and uneven areas can use Meladerm to achieve these goals. 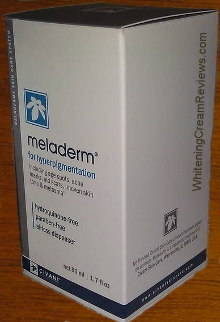 Meladerm’s active ingredients are mostly taken from natural extracts (such as from plants like mulberry and bearberry), so it is a natural alternative to other skin lightening products which may contain some of the more harsh ingredients that are used for skin lightening purposes, such as hydroquinone or even mercury. What Skin Problems Can Meladerm Fix, and How? There are actually a large number of skin concerns that Meladerm has been created to reduce the appearance of, and potentially a lot more. The main purpose of the product is to lessen the appearance of hyperpigmented skin and to create a more uniform tone of skin. It is able to be used on the face as well as other parts of the body, like elbows, knees and other spots where skin darkening or unevenness may occur. The more specific problems that Meladerm can address include freckles, dark spots, sun spots, age spots, liver spots, acne marks, scars, birthmarks, sun damage, melasma, uneven skin tone, dark joints like knees, elbows and knuckles, and so on. The cream has a considerably widespread potential to treat a number of problems that are all generally the result of hyperpigmentation. Just bear in mind that the product is not design for use on the more sensitive private areas. If you are looking for a product for this purpose read our guide to intimate whitening here. How Is Meladerm Different From Other Skin Lightening Products? If you have researched skin lightening products for even a short length of time, you would have come to notice that there are literally dozens of choices. Virtually every cosmetics and beauty manufacturer has their own skin lightening product that claims to be a miracle cure for all skin problems. So how can Meladerm be different? Some of the other products even use some of the very same active ingredients that Meladerm does, which makes the choice an even more complex one. Civant Skin Care state that their product is unique not only due to the combination of all the chosen ingredients, but the way in which Meladerm is manufactured. They take care to create a manufacturing environment that has the optimal air and light conditions to ensure that ingredients like Kojic Acid do not deteriorate, as it can in less than ideal conditions. Civant also filters and micronizes its active ingredients so they are more efficient. They state that manufacturers of lower quality (and usually, cheap) skin lightening products, fail to adhere to such rigorous standards. Is Meladerm Easy To Use? Meladerm is a topical solution so is very simple to use. To start, you need to wash the skin thoroughly and make sure it is completely dry. 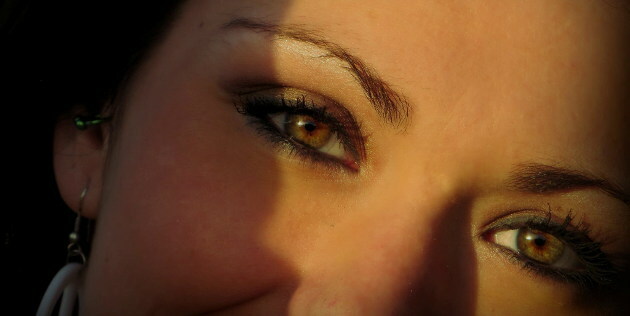 Then, Meladerm should be applied over the area that you wish to treat. Civant Skin Care advises to do this twice per day, and the cream should be thoroughly massaged into the skin to ensure full absorption. They also say that the best results are often achieved if the cream is used following an exfoliation scrub, but this comes down to personal preference and how sensitive your skin may be to such a procedure. Because the skin may become a little more sensitive than usual upon using a skin lightening cream, the makers of Meladerm recommend using a sun cream of SPF 30 or higher when you are out in the sun – however avoiding direct sun exposure altogether on the affected area is really ideal. Meladerm Pigment Reducing Complex is a unique product and one that is certainly worth considering if you have skin pigmentation issues that you would like to treat using a more natural, gentle formula. There is only one official original source of the product, and that’s the company that actually produces it. They are called Civant Skin Care, and can be found by clicking here. Don’t accept any imitations because it’s just not worth taking the risk with products that you are applying to your face and skin generally. You want to know you’re getting the proper, original, made to exacting standard product. If you would like more information about the product read our Meladerm cream review or check our questions about Meladerm page. This entry was posted in Whitening Products.